Gurupaurnima is always the most special day in the life of any spiritual seeker or Sadhak. This year's Gurupaurnima was so peaceful for me. Had simple heartfelt worship and gratitude toward Sadhna and Gurudev was my Gurupaurnima celebration yesterday. I feel immense gratitude toward Gurumaharaj whenever I remember all the golden memories of Gurudeva since the moment I became a Mahayoga disciple. "Sadguru - the spiritual master who enlightens Sadhaka is believed like a mother. When Sadguru blesses the disciple, by a spiritual sadhana it is like a second birth - a spiritual birth for the Sadhaka. Therefore, the Guru Shishya relationship is like that of a mother and child." These words are not mine. 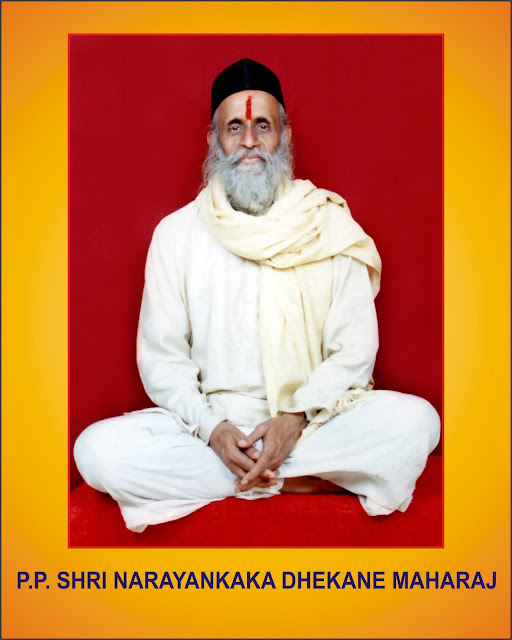 Sadgurudev H. H. Shri Narayankaka Dhekane Maharaj has shared them in His book on Mahayoga. Gurudev was a caring mother for all the disciples of Him spread all over the world. On Gurupaurnima special Gurupujan or the worship of Gurudeva is performed everywhere. But I have yet to learn how to perform a Puja. 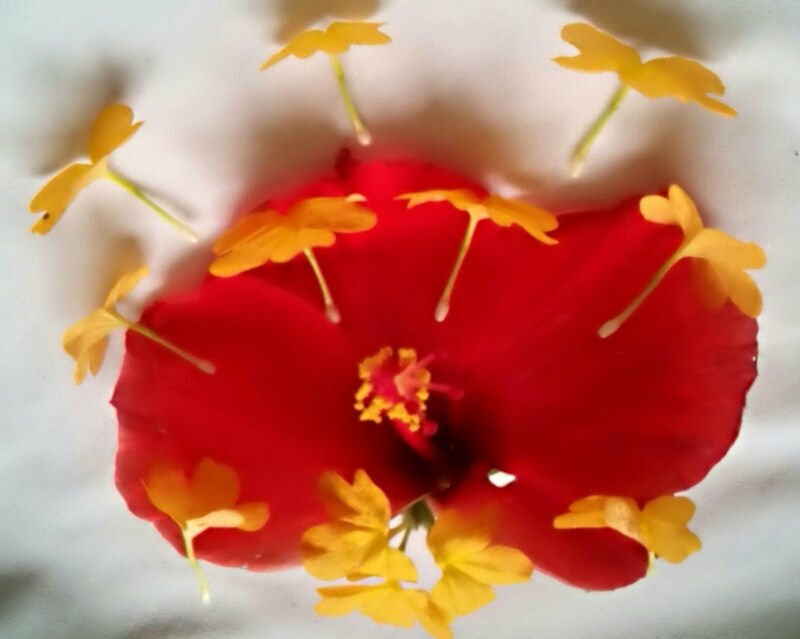 Little floral rangoli to offer to Gurudeva on Gurupaurnima. from a Hibiscus and aboli flowers. Gurudeva is the one who blesses spiritual knowledge or realization and I can write a prayer or a hymn. I do not have anything to offer Him for Puja, other than my 'ego' which covers awareness of the presence of the supreme power in my life making me sad sometimes, ignorantly. I was a child when Deeksha and Sadhana became a part of life. And today, Sadhana is my life. My life is Sadhana. Sadhana is something which can never be separated from me even if I try to do so. 'Observing the natural breathing', closing all the distractions, absolutely alone...who won't love it? It's not a burden, it's not a chore, no philosophical books, no reciting of mantra, no spiritual discourse and nobody around, Sadhana is such a heavenly 'me' time. However, following this simple Sadhana wasn't always easy for me. There has been a lot of psychological pressure to quit spirituality by many people in my life. It's still goes on. I can't mold myself into something which I am not. Spirituality, Sadhana is my life and it will always be. All the toxic experenices in my life encouraged me to walk on the path I want to walk. Gurudeva was tranditional yet liberal, never imposed any thought or opinion of him on anybody. I am eternally grateful for the blessings of Gurudeva - the Gurukripa - that has become my power despite being surrounded with odds. 1. Thank you for blessing me the independent thinking. I have my thoughts and opinions and I don't follow anybody blindly. However, my thoughts look different and strange, I make my independent point of view to reach a conclusion. Even if anybody agrees or not. I don't blog opinion on every news or situation. But, I have an analysis in my head and documented many times, which helps me to decide further choices and answers, reflections, my own crisis self-help and other issues like who to vote, leadership qualities and shortcomings, foreign policies, alternate perspectives on what I read in the media. I think often what could be other scenarios in any given situation. Rational thinking helps to build emotional intelligence. 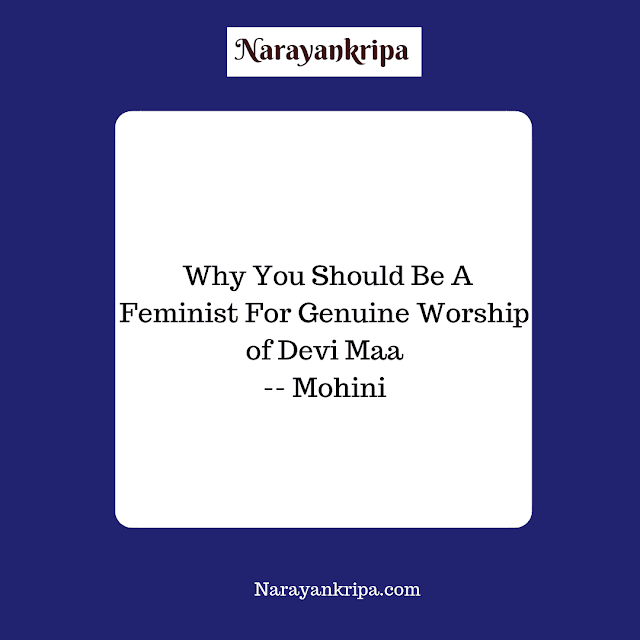 Gurudeva himself was rational and never liked superstitious behavior. Rationality helps me manage anxieties many times. But that doesn't make me completely self-absorbed. Many times I get absolutely confused also. I sit and wait to understand, 'What to do next?' or honestly express my confusions with my friends. 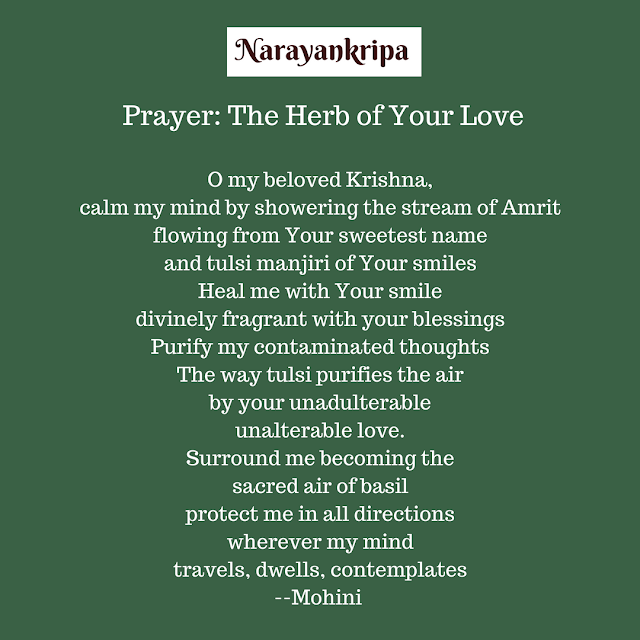 I pray to Gurudeva or Lord Krishna or the Almighty. Many people tell me that I think a lot. I don't feel it true because the mind isn't something like a bulb which we can switch on and off. It keeps thinking always till it find what it was searching for. I could argue with the Gurudeva Him when I couldn’t feel convinced by His thoughts. It's rude to speak anything in front of Sadguru as the Sadguru is above the God also. Gurudeva was eighty plus years old. But I could argue, is also Gurukripa that I didn’t become a blind follower and worshiper of Him. That’s what the responsibility of Guru is. A disciple should be so independent that they don’t need to rely on their spiritual master, after a stage of spirituality. Gurudeva never felt offended by my arguments and never reacted negatively. Gurudev used to tell that Mahayoga Sadhana is Svasamvedya, which means solutions to all the confusions and doubts come as realizations from within. Sadhana shows the guiding light. Also, Kundalini Shakti which resides inside is also present in various forms known as Jagatshakti or the cosmic power. Whenever I recieve help, guidance from friends, sometimes from someone whom I never knew before and I have a new insight, I feel it's Jagatshakti who came to meet me in their form. And I feel the divinity in the hearts of kind souls. Thank you Gurudeva for showing me the divinity everywhere and millions of reasons to feel gratitude. As I said above, I have lived under strong pressure to surrender to what's believed as right by the society, relatives and should accept that that's what is life: Walking the path followed by everyone, education, marriage, children, and full stop to ambitions, as a woman. But, I see the life is full of infinite opportunities like a sky. Why should we restrict our freedom to touch the sky? The most amusing question people used to ask was, “Sadhana at this age? How will you get married? ” I was in school at that time. Spiritual sadhana and marriage aren’t related to each other by any way. So much unnecessary pressure. Society have so much interest in the personal life of individuals. Sadhana, spirituality, meditation increases our concentration levels. It's essential to have a focused mind for studies, work and productivity also. Spiritual path as spiritual as well as material benefits. Spiritual Sadhana is not necessarily Sanyas. For past few years, I couldn't watch movies, no TV as I had my priorities and stresses. This was the time the psychological pressure had become extremely difficult to handle. It's a common belief and fear that no movies, no TV, and no marriage means Sanyas. Sanyas isn't that easy. It was just a matter of time. “Oh really?” I asked with displeasure. “Of course, yes.” He was overconfident. He had a threatening tone. And when I argued what makes him so overconfident, he got angry. Both of them were stranger to me and had met for some formal reason. Their sudden intrusion in my spiritual life shocked me a lot as I never asked any doubt. Later on I came to know that they dared because they had contacts with my parents and so they knew me. It’s common in our society to preach the children of someone people know, even if the children are adult not willing to take any advice. Another reason, in rural or semi-urban area, men can't tolerate to see a single woman. Many male religious leaders take responsibility to protect what they believe as culture and only way for that is to oppress women. I still can't calm down whenever I remember these two incidents. These are two long stories of pain, threats in soft and harsh words, tactically damaging the confidence of a woman and bring her under the cage of social beliefs. I was quite disturbed. Such fake spiritual leaders can harm people easily as compared to frauds in any other stream. It doesn’t look a serious matter, but I didn’t have a single person in my life who would be kind and supportive when it happened. Returning to , I am still writing on spirituality, practicing what I write and believe. Most importantly, have like-minded spiritual friends. I am smiling while writing this, I am not changed, just getting better with every new day. Actually doing what I have always been (day)dreaming. Writing, business, poems and Sadhana of course. There are many things remaining to sort out but I am confident if I have defeated so much pain, I will resolve everything. Thank you Gurudeva it was never possible without your golden words and blessings. And thank for a realization to spot the fake spiritual leaders these experiences taught me. By the way, I watch TV and movies these days (as now it's my wish and no outside pressure) but I am still very selective. 3. 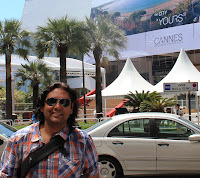 Thank you Gurudeva, I am living my dream of entrepreneurship today. Entrepreneurship isn't as sweet as it looks. And for a solopreneur, absolutely not. Every day risk taking, dilemmas, tough decision-making, stresses reputation management and literally uncountable tasks calling us as soon as we open eyes. There is no day-night/weekday/weekend for an entrepreneur. But I super love this sweet pain of working. Being own boss isn't rosy at all. As a boss of myself, I am really harsh and unforgiving of myself. “You couldn’t finish this simple task, shame on you.” There are such endless self-criticisms. I would immediately resign if anybody else would dare to say this to me, but I can’t resign from being 'me' and that’s the best thing. Even today, nobody can understand and support professional hard work, my ideas and experiments in rural life of Dhule. I still receive advice, "but why don't you become a lecturer? See, these professions are for women." But I can ignore them. I am doing what I can do best and not doing what I don't find interest in. The stresses of sustainability, growth, financial risks, discouragements feed my brain. This inner strength is truly the blessing of Gurudeva and Gurukripa. Thank you Gurudeva for Mahayoga Deeksha and Sadhana. Thank you for the blessing by which divinity is what I can see beyond the differences of race, caste, religion and gender.